A candidate must be an Advocate of not less than seven years standing as on last date fixed for the submission of application forms. The applicants must fulfill the essential requirements of the post and the other conditions stipulated in the Uttar Pradesh Higher Judicial Service Rules, 1975. This paper will be of 100 marks and 3 hours duration. There will be a paper of “General Knowledge”. The paper may include questions based on topics relating to History of India and Indian Culture, Geography of India, Indian Polity, current national issues and topics of social relevance, India and the World, Indian Economy, International Affairs and institutions and development in the field of Science & Technology, communication and space. The nature and standards of questions in these papers will be such that a well educated person will be able to answer them without any specialized study. This paper will be of 200 marks and 3 hours duration. 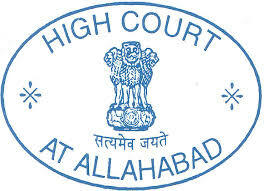 The question set will be restricted to the field covered by The Law of Contracts, the Law of Partnership, the Law concerning easements and torts, the Law relating to transfer of property including the principles of equity specifically applicable thereto, the Principle of equity with special reference to the law of trust and specific relief, Hindu Law and Mohammedan Law and Constitutional Law. There shall be questions of 50 marks in relation to Constitutional Law alone. This paper will be of 200 marks and 3 hours duration. Questions set will be restricted to the field covered by The Laws of evidence, the Criminal Procedure Code and Code of Civil Procedure, including the principles of pleading. The questions set will relate mainly to practical matters such as the framing of charges and issues, the methods of dealing with the evidence of witnesses, the writing of judgment of session trials, appeals, revision and the conduct of cases generally but will not be restricted to them. Laws will be of 150 marks. Clarification—The candidates will have a choice to answer General Knowledge and Law Papers either in Hindi or in English. The interview will be of 200 marks—The suitability of the candidate for employment in the U.P. Higher Judicial Service will be tested with reference to his merit giving due regard to his ability, character, personality and physique. (i) The candidates securing minimum aggregate 45% marks in the written examination shall be called to appear in the interview subject to maximum thrice the number of vacancies category wise. The interview shall be in a thorough and Scientific manner and shall take anything between 25 and 30 minutes for each candidates. (ii) The candidate securing minimum 40% marks in the interview shall only be eligible to be included in the select list. The marks obtained in the interview will be added to the marks obtained in the written papers and candidate's place in the select list will depend on the aggregate of both. Application form fee: rs 1000 for general and OBC category, and rs 750 for rs SC, ST , and rs 1000 for all other candidates belonging to other states . Candidates can deposit application form fee through SBI challan form .